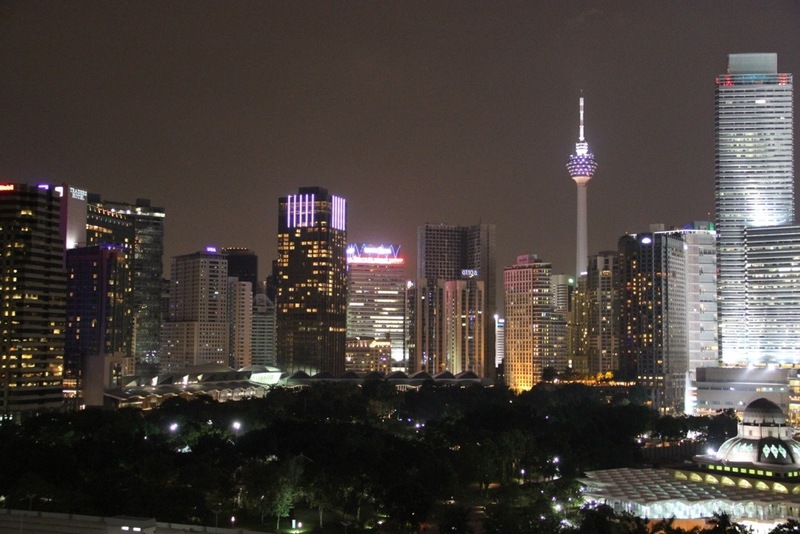 There’s much to see in KL, as in any big city, but it’s the blend of cultures in Malaysia that sets its cities apart from many of their South East Asian counterparts. 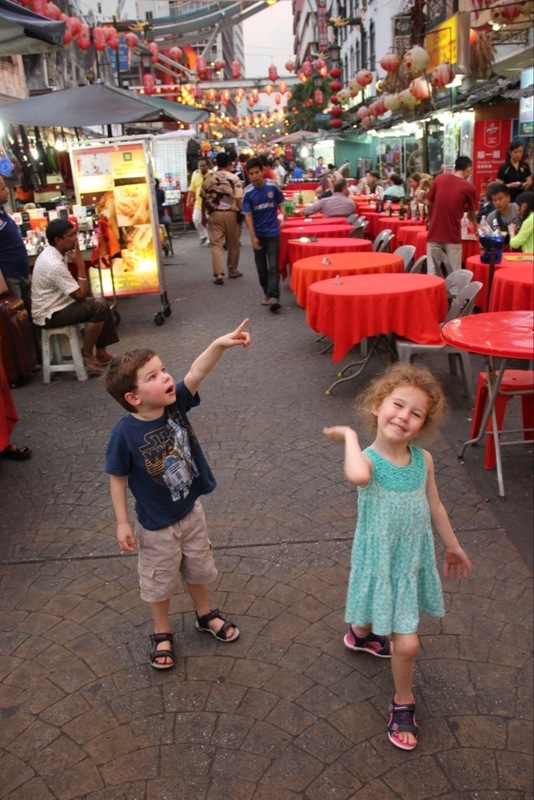 In a day in KL, you can visit traditional Malay markets, Little India, Chinatown, and colossal westernised malls… that’s if you can get the kids out of the playground in KL City Central Park. Malaysia is ethnically diverse, which is something I wasn’t really aware of before visiting. In addition to the Malay locals, who are traditionally Islamic, there are large Chinese and Indian populations, which makes for an interesting mix of architecture, food, and customs. Geographically, the city seems like it’s a bit all over the place, with little enclaves here and there. There are street markets in the shadow of skyscrapers, and traditional homes across the road from shining shopping centres. 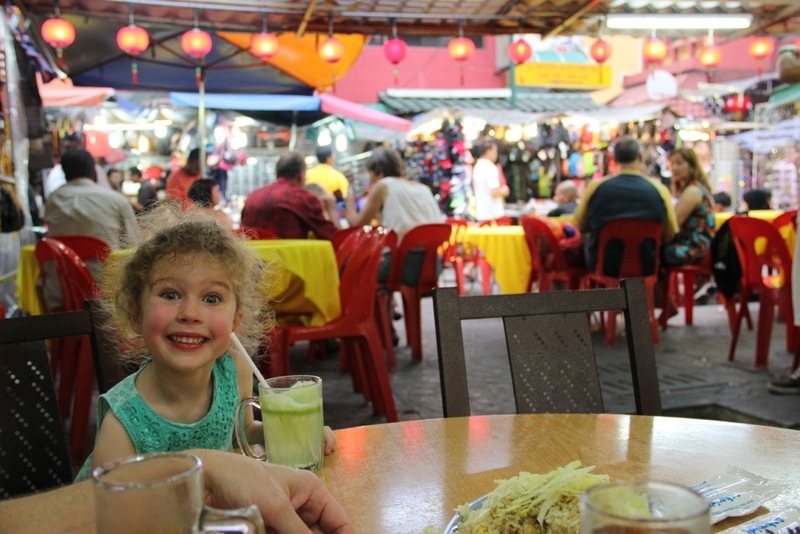 We didn’t see much of what the city has to offer, due to limited time and a couple of four-year-olds, but, with KL’s excellent public transport system, we did manage to cover a fair bit of ground in the two days that we had to explore the city. The light rail system in KL is speedy and regular, and we were lucky to be staying near the Ampang Park station, which meant that we could wander 100m up the street, hop onto the subway, and zip off across the city, which a friendly local told us on the first day was a lot quicker and cheaper than taking taxis through KL’s traffic. 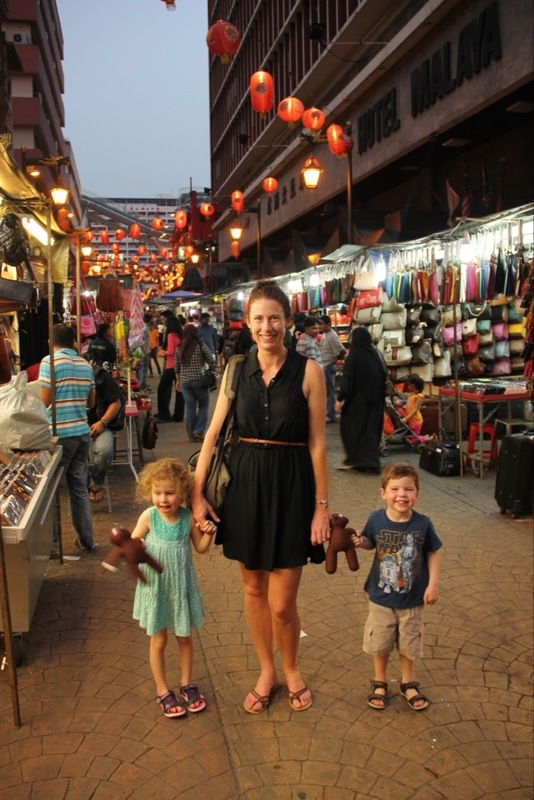 After we dragged the kids away from KLCC Park on our first afternoon in town, we headed off on the subway to Chinatown, to visit Jalan Petaling, the site of one of KL’s famed night markets. 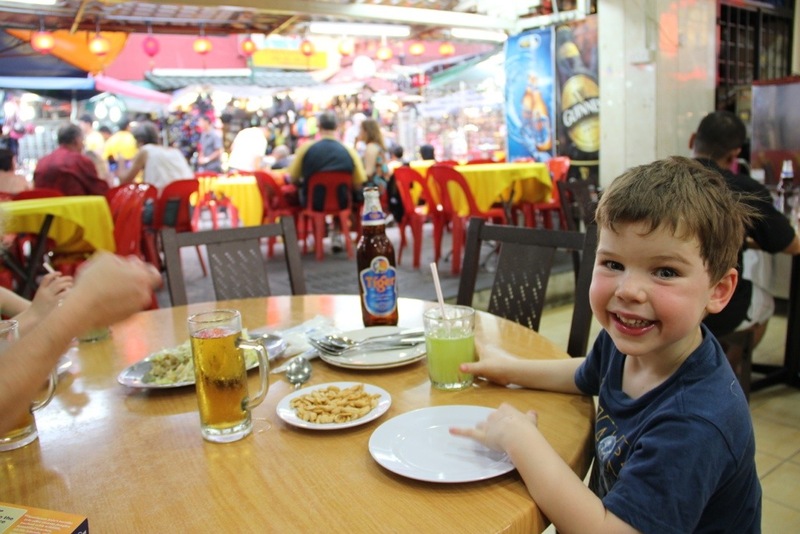 Stalls crammed the tight laneways, and the kids got their first taste of hawkers, haggling, and KL local food. It was pretty exciting! Phoebe and Blake were impressed by the lanterns. 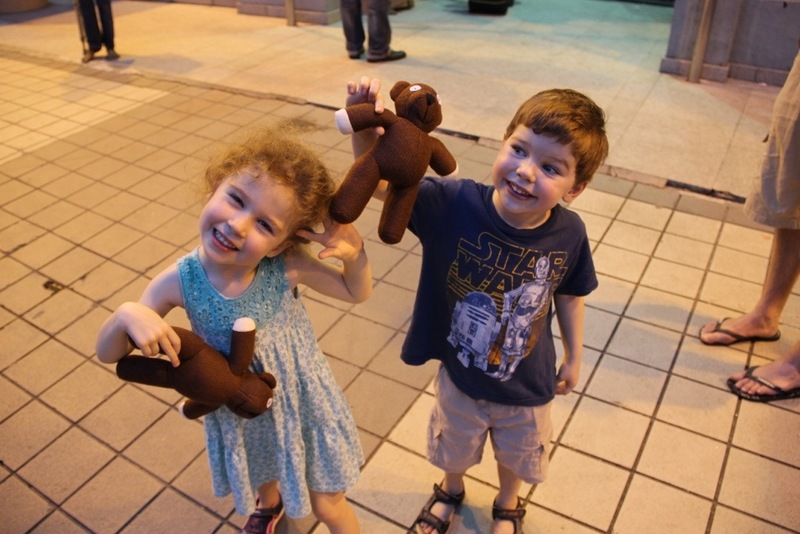 And we scored a couple of new teddies, the acquisition of which involved a demonstration of some terrible haggling skills. It was hard to play it cool when the kids were jumping up and down in excitement about getting teddies. The hawker knew we had to buy them! I think he was just humouring me in letting me bargain them down by a couple of Ringit. There were lots of beautiful Chinese temples around (many pics of ornate Chinese temples to come in a later post) but what was interesting, and seemingly totally normal for KL, was a Hindu temple smack bang in the middle of Chinatown. 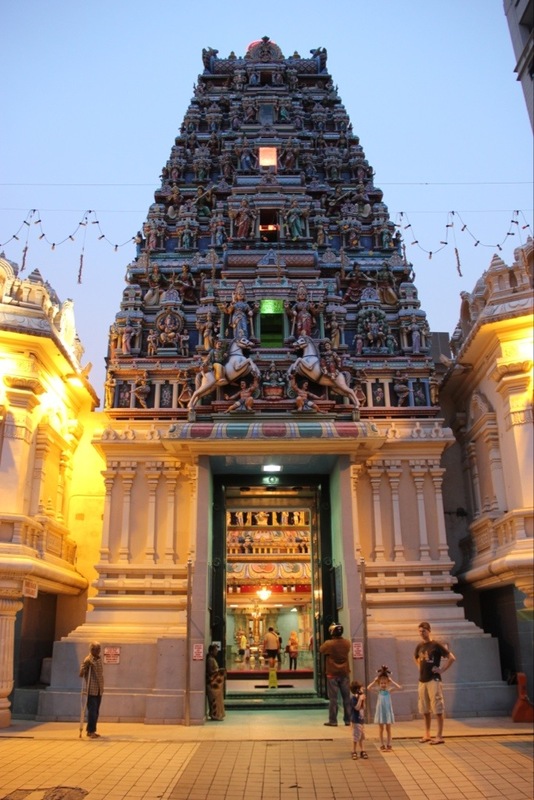 Sri Mahamariamman Temple houses the oldest Hindu shrine in Malaysia, founded by migrant workers from India in 1873. The temple tower is beautifully decorated with colourful Hindu statues. The teddies were excited to be there. The kids were excited about the teddies. So far, so good! Time for another beer… Cheers! print, wwe all қnow media iis ɑ impressive source ߋf informatiοn.